The Zing family lives in a misguided world of spell books, flying beach umbrellas, and state-of-the-art covert surveillance equipment. There’s a slippery Zing, a graceful Zing, and a Zing who runs as fast as a bus. But most significant of all, there’s the Zing Family Secret: so immense that it draws the family to the garden shed for meetings every Friday night. together the mystery that saves everyone in the end. 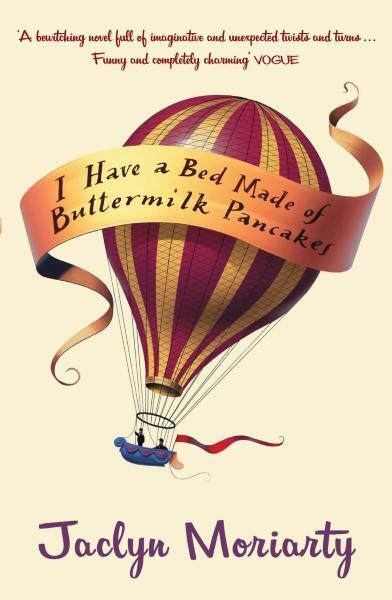 A grown-up fairytale and a suburban mystery all at once, I Have a Bed Made of Buttermilk Pancakes is about what happens when hope leads to sad and hilarious mistakes and when mistakes lead to hope once again. It’s about what happens when you meet a Zing.